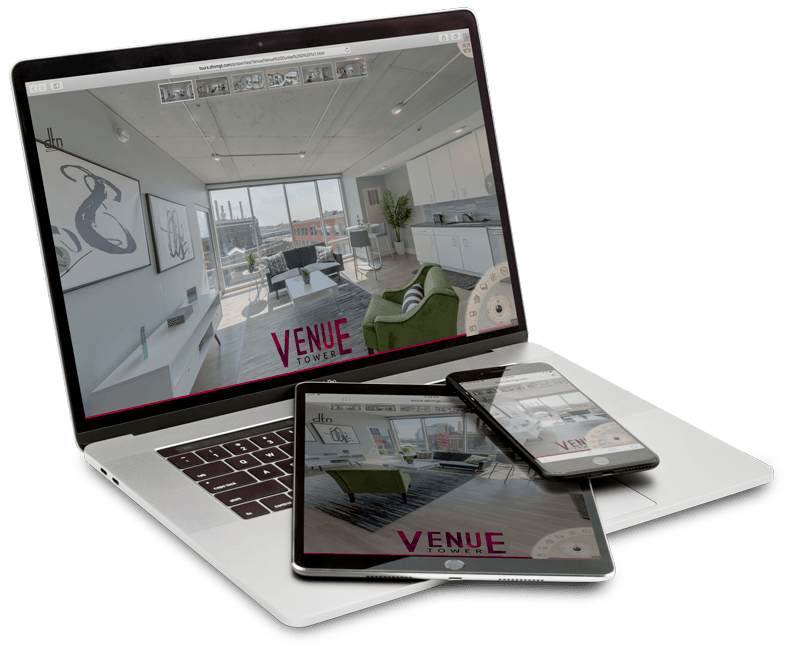 WHAT ARE CUSTOM VIRTUAL TOURS? Custom virtual tours are beautiful 60+ megapixel HDR photospheres that are hosted on private domains (rather than on Google Maps, which we can also do). These tours open up the possibility to use 360º Panoramic images in places where Google won’t allow Street View to go. Like a home or apartment building, or because you want more control over who sees your space. These custom tours are hosted on your own domain and can be password protected. They also let us add some extra flair to the tours. Logos, slideshows, weblinks, auto-rotation, even music or voice-overs can be added to enhance this type of virtual tour. All of our custom virtual tours are designed to be used on mobile devices with an easy-to-use touch interface. The tours are smart enough to use HTML5 on devices that support it, but falling back to Flash when needed. That way no one misses out from seeing your awesome tour! Users can click and drag to navigate the virtual tour on their desktop computers as well. This gives the highest resolution image for when you want to see each and every detail. Users with Google Cardboard, Samsung Gear VR, Oculus Rift, and other popular VR headsets will be able to experience your virtual tours like they are there! Want a demonstration? Check out the featured tours below. Click and drag to move around.